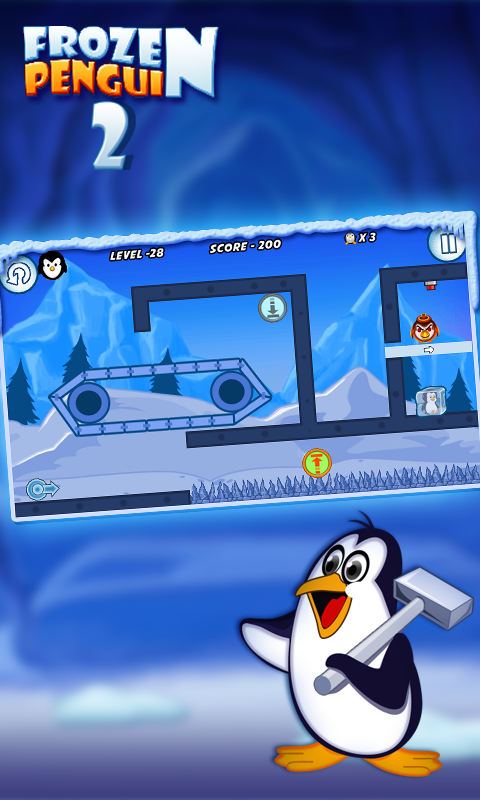 Frozen Penguin 2 (by Mobibit Softwares) — Mobers.ORG — Your Daily Source For Mobile FUN! Its a physics based action shooting game. As the winter season is on & new year has embarked, Frozen penguin 2 is all set to take you to this adventurous journey of Mr Marty with its fresh & engaging game play. Mr Marty's kids are in deep trouble, Due to heavy snowfall in Bacardi land they got frozen. 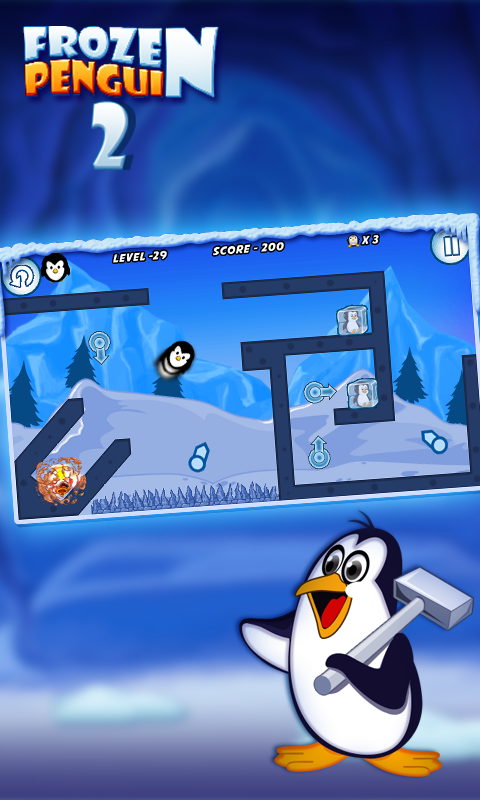 Mr Marty needs your help in defrosting them, Use your shooting skills & target the Frozen Penguins precisely to release them. Beware task is not an easy pie, you will have to overcome the deadly obstacles & your timing has to be impeccable, any lapse of concentration can cost you a life. You will have to play like a champ to accomplish this mission packed with 30 stages. 1. 30 Free action packed Ultimate levels to play. 2. Multiple obstacles to tackle with. 3. 10 objective to accomplish. 4. Global Leader board to compete. 5. Teasing and engaging game play.